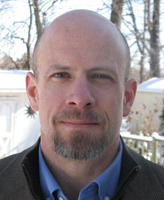 Notre Dame Professor Jon T. Coleman is interested in the truths that hide in lies. In his new book, Here Lies Hugh Glass: A Mountain Man, A Bear, and the Rise of the American Nation, the historian uses a whopper of a story to explore not how the west was won but how its image was built. 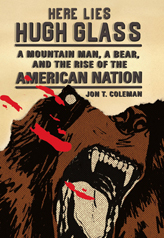 Mountain man Hugh Glass’s lingering lore begins in the wilds of South Dakota, where a grizzly bear mauls him in 1823. According to the story, the party Glass traveled with killed the bear, but Glass had been mortally wounded. The expedition leader told two men to stay behind to bury Glass if he died or, should he recover, to lead him back to civilization. But the duo skipped out early, taking Glass’s gear with them. Barely able to walk or fend for himself, Glass crawled back to the trading post at Fort Kiowa, hundreds of miles away, vowing a revenge that never came to pass. Of all the tall tales told from that era, Coleman, a faculty member in the College of Arts and Letters’ Department of History, says he was drawn to this one in particular because of the role nature plays in the plot. He explains, “I’m trying to show how working people like Glass helped Americans define their nation as different and exceptional. They wanted the nation to sprout from the soil and to be ingrained in people. This naturalizing process, however, wasn’t pleasant. People close to nature—working people—suffered. At the same time, far from accepting such tales as gospel, readers in Glass’s day questioned all these stories. Glass’s epic crawl, he adds, was part of the growing pre-Mark Twain tradition of tales concerning con artists and tricksters that some also saw as integral to the concept of the West, with Glass’s experience an ultimate wilderness adventure that still resonates today. With little actually known for sure about Glass, Coleman says his book is more a missing person report than a biography. Along with the legacy of such lies, Coleman’s work is informed by pop culture across eras, from writers in the 1800s looking to make a buck off their versions of the West—including Herman Melville—to references to Homer Simpson, Woody Allen’s Zelig, and the Coen Brothers’ The Big Lebowski. Coleman says he signed a contract for his first book before he had even finished the dissertation. That book, Vicious: Wolves and Men in America (Yale University Press, 2004), won the American Historical Association’s 2005 John H. Dunning Prize and the Western History Association’s 2005 W. Turrentine Jackson Award. His next project is a textbook, The American West: A New Interpretive History (Revised Edition) with John Mack Faragher and Robert Hine. Coleman’s research and teaching at Notre Dame focus on early American history and the American West. He is also on the faculty of the University’s History and Philosophy of Science Graduate Program. In spring 2012, he taught an undergraduate course on the American West and a graduate seminar on environmental history and received a Rev. Edmund P. Joyce, C.S.C., Award for Excellence in Undergraduate Teaching. Coleman says he frequently talks about his writing in the classroom. Originally published by Mike Danahey at al.nd.edu on May 23, 2012.